At Heatsmart we understand the significant benefits and comfort a centrally heated environment can bring to the New Zealand homeowner. We design, install and maintain of all types of warm water central heating and solar hot water systems. Our team of qualified engineers have experience in domestic, commercial, industrial & agricultural heating systems ensuring your installation will be of the highest quality. Our dedication to quality of service, from design through installation to after sales support, is second to none. 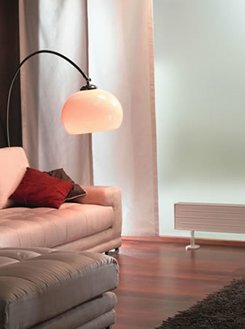 Central Heating is the even distribution of heat to every room in your home from a central point or heat source. The warm water distributes heat evenly and thoroughly to every area of your home via a network of pipes.